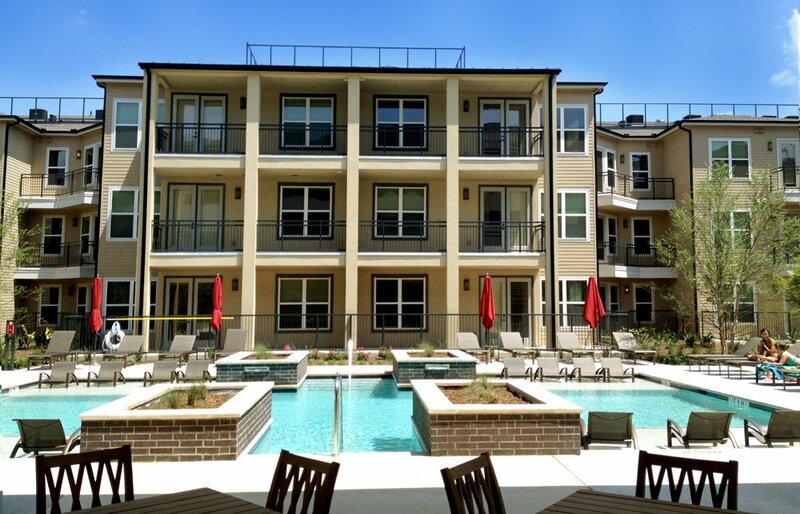 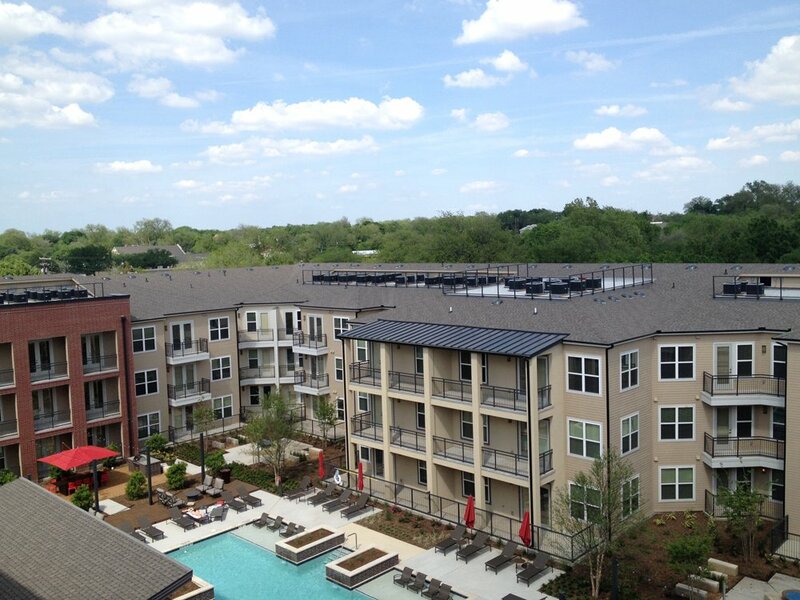 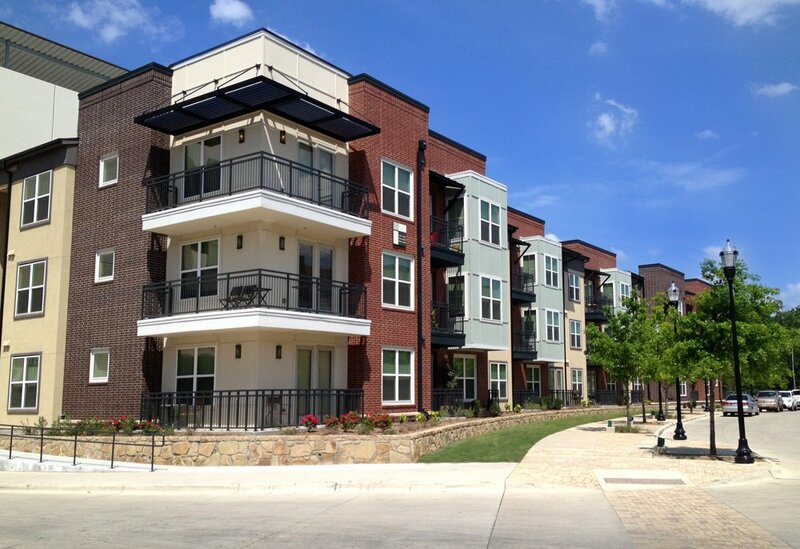 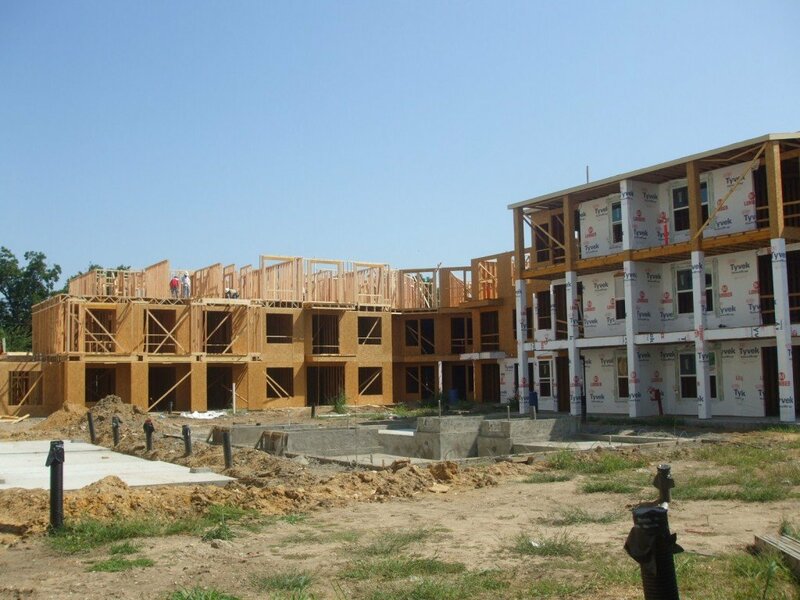 Union Apartments _Carrollton, TX | Group Structural Engineers, Inc. 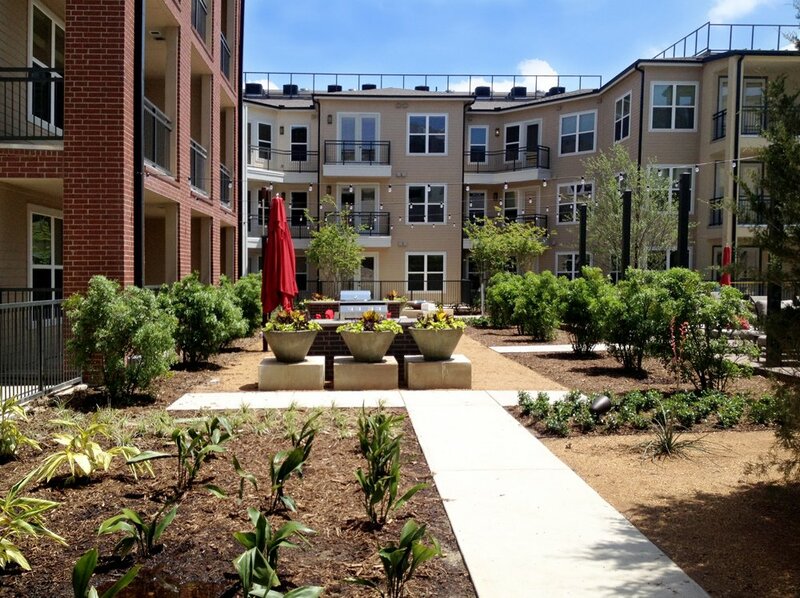 Phase I, completed in 2012, consists of 139,445 net rent-able square feet representing 179 apartment units and 4,658 square feet of restaurant space. 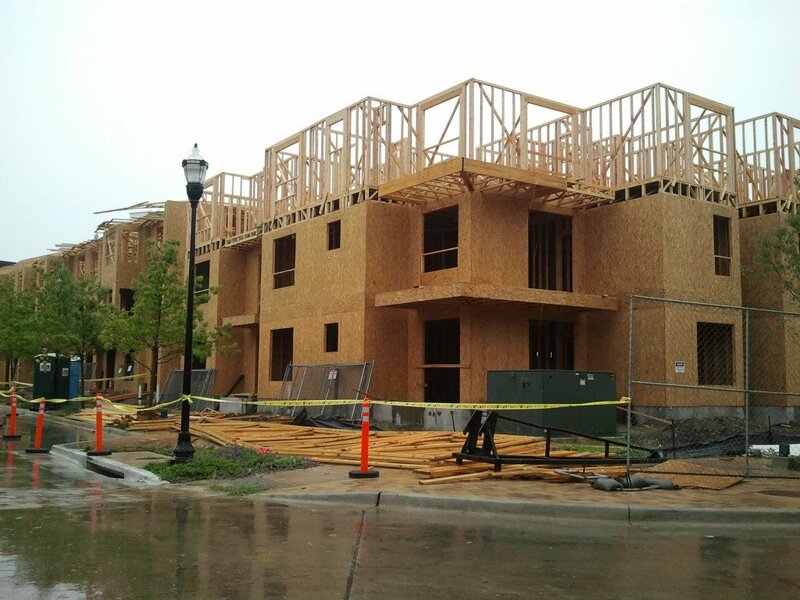 The project is a wood braced frame on a concrete slab foundation.